It was in the summer of 2015 that I first visited the site. I’d wanted to know just which Gabrielle Roy titles were still in the series. None were listed, though there was a good selection of Evelyn Waugh novels. I returned repeatedly over the two years that followed to take screen shots and imagined worlds in which Virgil or Homer might’ve carried Canadian passports. Titles come and go on the web page, but very rarely is one by a Canadian author included; and I’ve yet to come across a single title from the series itself. The fact that it has—never mind that it occurred in the first place—says much about the series’ decline. No one noticed. No one cared. The once-influential, once-canonical series of books has gone, in this decade, from slim to insignificant to non-existent. Where well-known titles by Margarets Atwood and Laurence were once listed beside worthy obscurities like Francis William Grey’s The Curé of St. Phillipe and Germaine Guèvremont’s The Outlander (La Souvenante), only the well-known remained. McClelland & Stewart, the house that described itself as the “Canadian Publisher”—always in quotation marks, always in italics—has been in Bertelsmann’s German hands for more than five years now. This past spring, those same hands choked more life out of the series. Its titles—most anyway—were to be reissued and repackaged as Penguin Classics. The timing of the announcement was predictable, coming not three months after the December 31, 2016 conclusion of a five-year term during which McClelland & Stewart’s new foreign owners had pledged their support for NCL, amongst other imprints, to the federal government. Six months having passed, the time has come to acknowledge that a long, lingering decline has reached its conclusion: the New Canadian Library is dead. To truly understand what we gained with NCL, and have lost in its passing, we must recognize the challenges once faced by those studying this country’s literature. In 1957, the year before the series was born, nearly every Canadian book that would today be considered part of the canon was out of print; the very few available (outside used bookstores) existed only in hardcover editions. This was an untenable situation, and it weighed upon academic and critic Malcolm Ross. 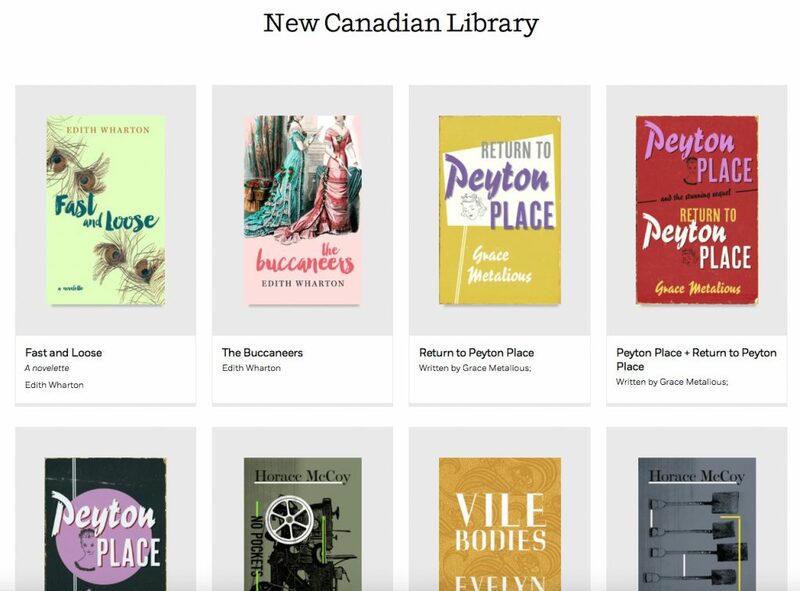 In response, he came up with the idea of a series of inexpensive paperbacks to be used in teaching Canadian literature to post-secondary students. 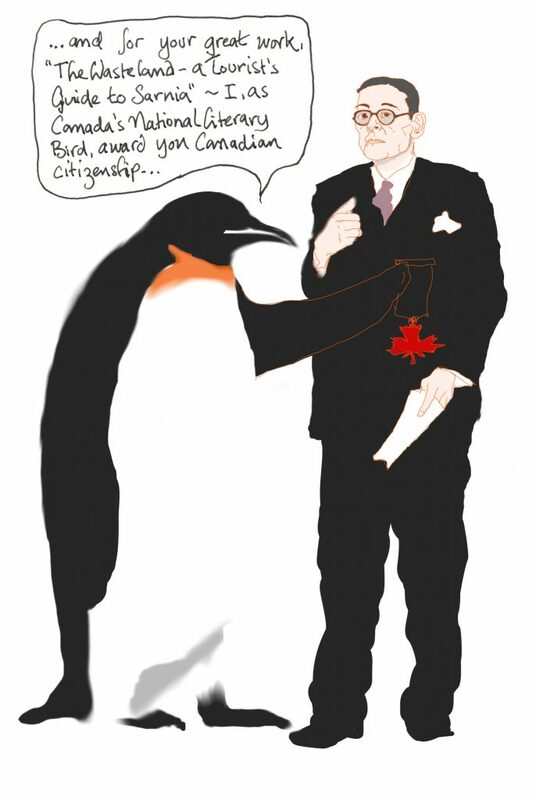 The first publisher he approached, Macmillan of Canada’s John Gray, turned him down. The second, Jack McClelland, always a man willing to take risks, was more receptive. McClelland cautioned Ross that it might not be worth his while, and yet the New Canadian Library proved a steady moneymaker with titles selling in the five- and six-figures. 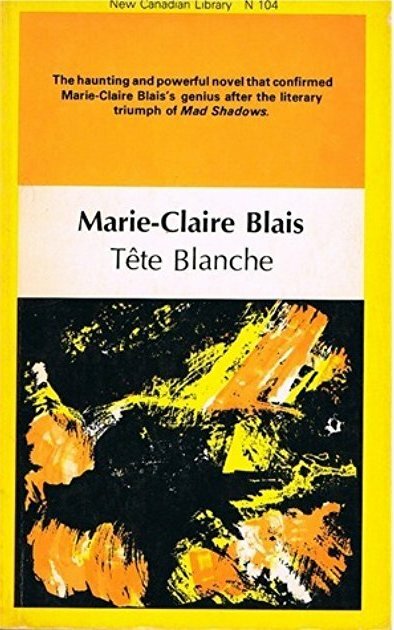 I was introduced to the series in its third decade, by a CEGEP course I was taking on the literature of Quebec. The first book I owned was Philippe-Joseph Aubert de Gaspé’s historical romance Les anciens Canadiens (the NCL edition of Hubert Aquin’s Prochain episode was on the same reading list). This was back during the days of NCL’s second-series design. Those familiar with the second-series design will know to brace themselves. An ugly-looking book, it was made all the worse by the inexplicable use of translator Sir Charles G.D. Roberts’ name in place of the author’s. 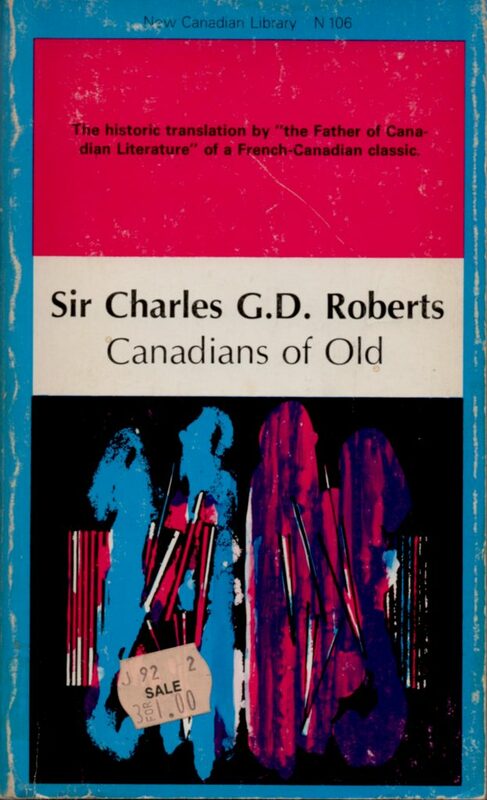 Even the title, Canadians of Old, is wrong; Roberts’ title was The Canadians of Old. The book, sans explication, has two introductions—Roberts’ original and another by Clara Thomas—along with sixty pages of untranslated notes “from the Original French Edition.” A Frankenstein’s monster, in the main it consists of muddy reproductions from old editions. Before I’m accused of being ungrateful, allow me this: the New Canadian Library was good for this country. I soon came to forgive its poor production values for the simple reason that the series made these titles available and affordable. The only things I found hard to stomach were the abridgements (Richardson’s Wacousta, Kirby’s The Golden Dog, Parker’s The Seats of the Mighty, etc) and the introductions. In college and university I was new to Canadian literature—students in Montreal’s Lakeshore School Board did not study such things—and yet I quickly recognized that NCL intros were often inept, inaccurate, and factually incorrect. Such a sad state of affairs. The blind leading the blind. The worst NCL intro I’ve read to date is Carlyle King’s introduction to Wild Geese, Martha Ostenso’s one big book. King’s intro first appeared in 1961, the year the novel was brought into the NCL fold, and was reprinted until 1996, when it was replaced with an afterword by David Arnason. The measure of Martha Ostenso’s pioneering achievement in Canadian fiction may be suggested by a glance at the state of the novel in Canada when the young Manitoba schoolteacher sat down in 1923 to make her first draft of Wild Geese. This was before Morley Callaghan and Philip Grove, introducing into Canada some of the modes of European realism in fiction, had begun to break down the Canadian preference for historical and regional romance. Callaghan was on the Left Bank in Paris amongst the American expatriates, trying his hand at stories for little magazines of experimental writing; Grove, who had written for twenty years in the intervals of an itinerant farm-hand’s experience, did not get a first novel into print until 1925. At the same time, the Sunshine School of Canadian fiction was in the ascendant. Louisa [sic] M. Montgomery’s long series of “Anne” books, in which folk of good-natured innocence and simple-hearted faith defeat the spiteful and the stingy and the rude, continued to be popular among adult Canadians. Ralph Connor had gone on showing red-blooded muscular Christians successfully proclaiming the external verities to diamonds in the rough (The Sky Pilot in No Man’s Land, 1919); and Marian Keith, in novels in which moral regeneration proceeds at unusual speed, was still working overtime in reclaiming her most inflammable brands from the burning (The Bells of Saint Stephen, 1921). Callaghan was on the Left Bank in Paris among the American expatriates, trying his hand at stories for the little magazines of experimental writing; Grove, who had written for twenty years in the intervals of an itinerant farm-hand’s existence, did not get a first novel into print until 1925. In 1923, Morley Callaghan was studying law at the University of Toronto. It was in 1929—That Summer in Paris—that Callaghan first visited the Left Bank. By that time he was a published author comfortably installed within Charles Scribner’s stable. It was in 1905 that Frederick Philip Grove—or, as King seems to prefer, “Philip Grove”—published his first novel. His “itinerant farm-hand’s existence” included an uncomfortable stretch in an Austrian prison, bohemian life in Berlin and Paris, and drinks with André Gide and H.G. Wells. I won’t bother going into his crazy cross-dressing wife with the birdcage bustle. The truth about fraudster and faux-Swede Grove—aka German-born Felix Paul Greve—was uncovered in 1971 by literary sleuth D.O. Spettigue. King cannot be faulted for his 1961 introduction, though one wonders that it continued to be used at the approach of the new millennium. In 1923, the most recent of “Louisa [sic] M. Montgomery’s long series of ‘Anne’ books” was Rilla of Ingleside (1921). A novel set during darkest days of the Great War, it sees one of our dear Anne’s sons taken prisoner by the Hun as another is slaughtered on the battlefield. It’s true that the latter is “killed instantly by a bullet during a charge at Courcelette,” but I’m not at all convinced this is what King meant when he wrote that nobody ever suffers long. Can we at least agree that, in this case, a character “really gets hurt”? A good many characters are killed in Ralph Connor’s The Sky Pilot in No Man’s Land—some suffering long before they die. “Expurgated edition, I hope, said the M.O. “Lord, I’d like to be there, old boy!” said the doctor, fervently. Barry was as good as his word. At the meeting of the chaplains’ corps, the time was mainly taken up in routine business, dealing with arrangements for religious services at the various camps within the area. At the close of the meeting, however, one of the chaplains rose and announced that he had a matter to bring to the attention of the corps—a matter of highest importance, which demanded their immediate and serious attention, and which they dared not any longer ignore. It was the matter of venereal disease in our Canadian army. Yes, not only cussing but venereal disease. No references are found to “the Sunshine School of Canadian fiction” outside Carlyle King’s writings. 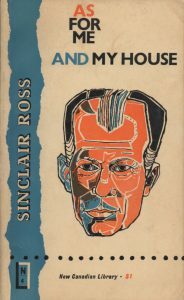 Ross retired as general editor in 1978, by which point he had ushered over 160 titles back into print. In the years that followed, the series continued to expand, if at a slightly slower rate, adding titles by Marie-Claire Blais, Naim Kattan, John Metcalf, Ray Smith, and Ethel Wilson, amongst others. The first indication of noticeable decline came in 1986, with the launch of the fourth-series design, during which dozens of titles were dropped. The fifth design, in the nineties, dropped dozens more. 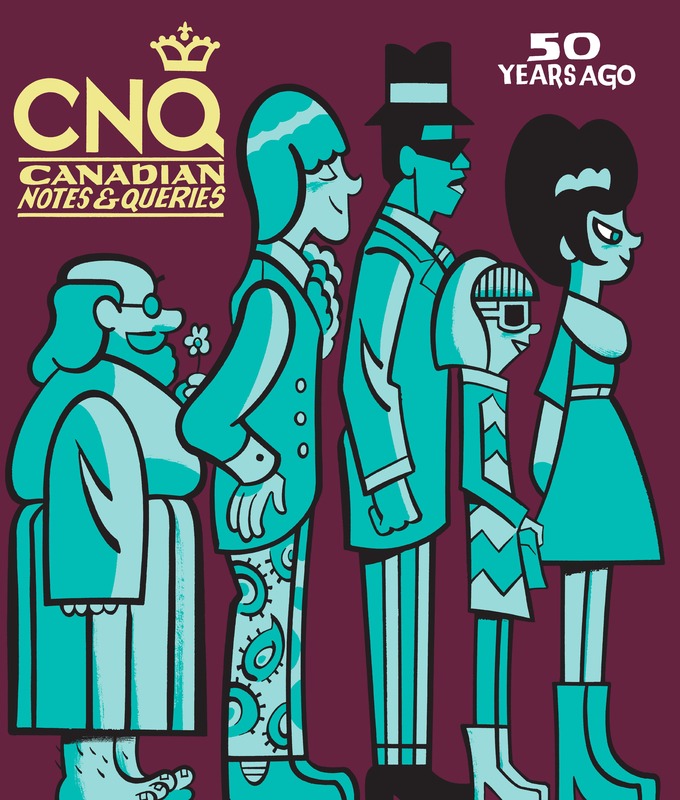 In 2009, NCL adopted a trade-paperback format. Books got bigger, prices doubled, and there was to be a period of experimentation in which the company supplied university courses with print-on-demand copies in grey, utilitarian, uniform covers. No, I’m wrong. What killed it—what really killed it—was neglect. 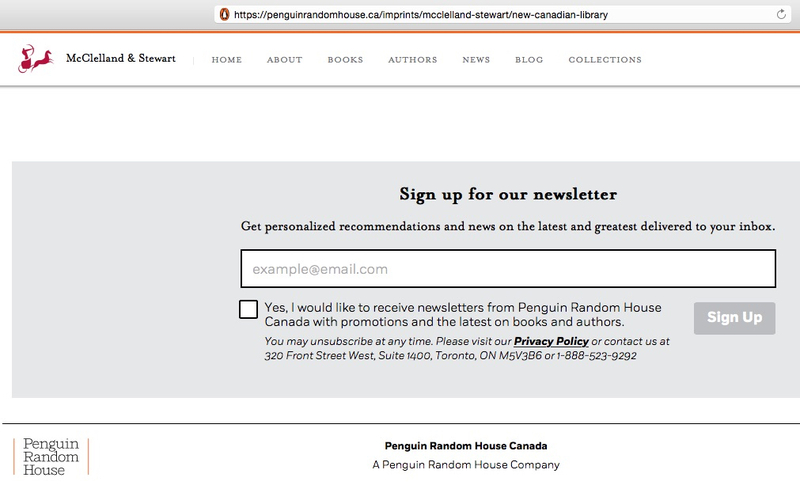 Penguin Random House Canada couldn’t even be bothered to tend its web page. Or is there life in it still? 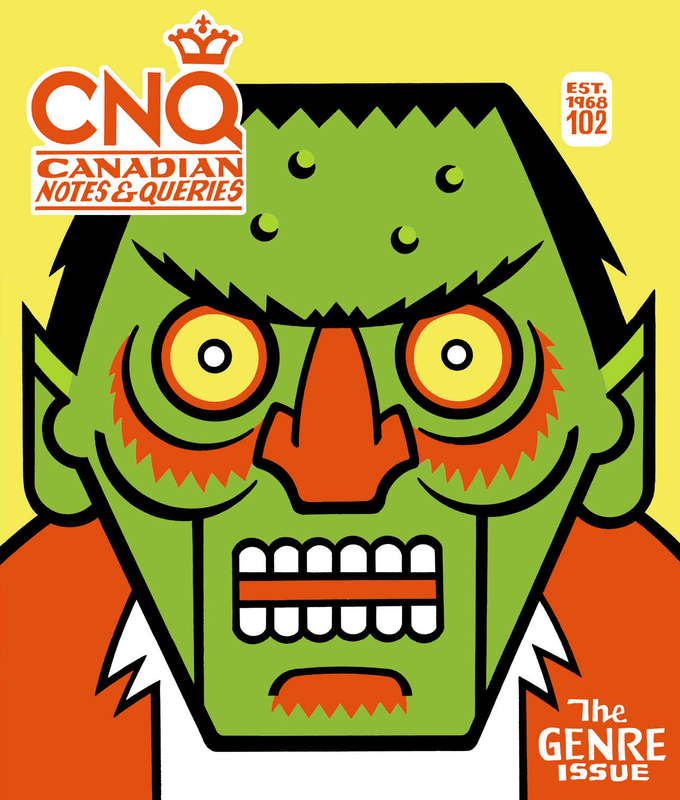 I ask only because I’ve yet to receive confirmation about its status from Penguin Random House Canada. I understand my query has been forwarded. Someone will be in touch soon. No, after fifty-nine years, the series is dead. It outlived its non-threatening rivals, the foremost being Macmillan’s Laurentian Library, New Press Canadian Classics, and Clarke Irwin’s Canadian Paperbacks. Like NCL, they are gone because their publishers are gone. Malcolm Ross’ legacy lives on in Dundurn’s Voyageur Classics, Biblioasis’ ReSet, the University of Ottawa Press’ Canadian Literature Collection, and the Early Canadian Literature series from Wilfrid Laurier University Press, each one overseen by dedicated, passionate, knowledgeable souls. Their disadvantage comes in not having access to what Elaine Dewar describes as “the best part of our literary heritage.” That best part is now in Bertelsmann’s hands. Consider this: Two Solitudes is out of print. Students returning to school this month will be scouring used bookstores for copies. Again, Two Solitudes is out of print. However did we get to such a state?